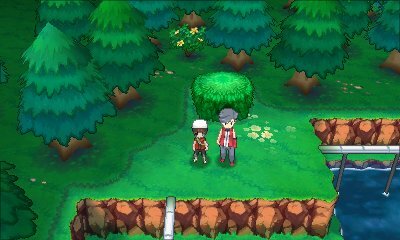 Like all previous Pokémon games, there is the Bicycle item that allows for you to travel faster than simple walking and running. 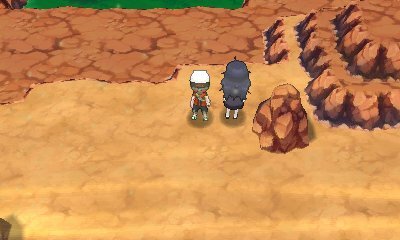 Pokémon Omega Ruby & Alpha Sapphire, like the originals, actually provides two different bikes. 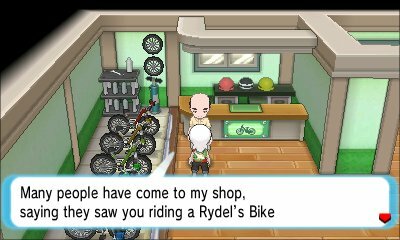 You get these at Mauville City, in Rydel's shop. 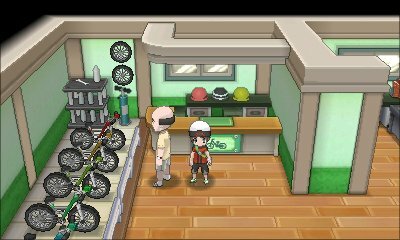 As there are only two bikes in the game, you can only have one and need to go back to Mauville City in order to switch bikes, at least at first. The Acro Bike has got an increased speed over running, but it's not incredibly fast. Instead, it is used in order to move through various obstacles. Using the Acro Bike, you can, on certain bridges, press B and a direction to hop across adjacent bridges. In addition to that, you can do wheelies when you hold the B Button while moving. If you hold the B Button while stationary, you will start bouncing. 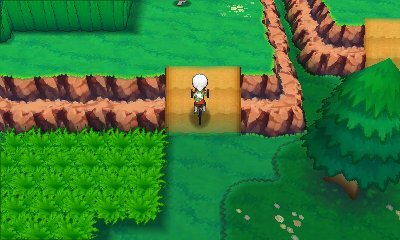 This allows you to move up and down specific ledges. These are sometimes necessary to reach certain items in a variety of areas. The Mach Bike's main feature is that it has you move at two times the normal speed. This starts off slow but has you speed up incredibly fast, allowing for much quicker travel It has another use, however. On some cliffsides, you will find a bit that will knock you back down if you are trying to climb it on foot or with the Acro Bike. 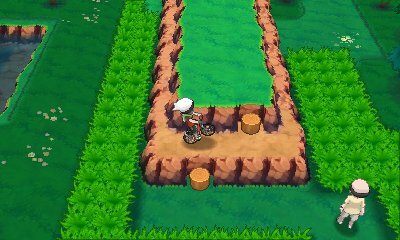 If you go at it at full speed on the Mach Bike, however, you will be able to climb the slope. If you go onto Cycling Road from the north gate and reach the bottom gate while riding the Mach Bike, you will also be timed and your number of collisions is counted.